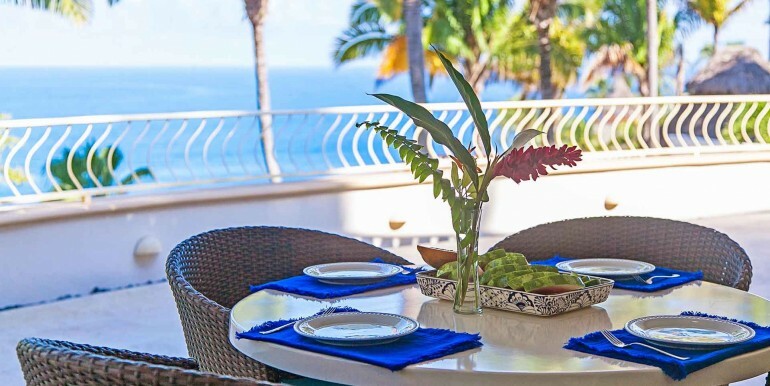 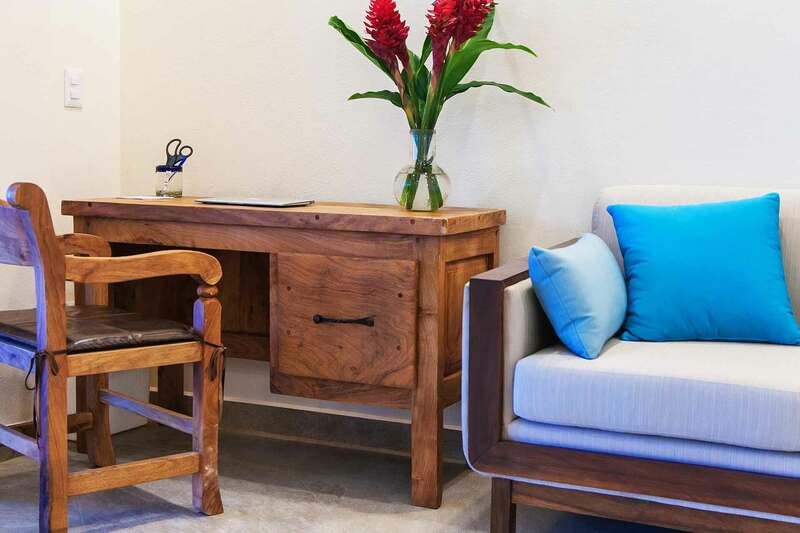 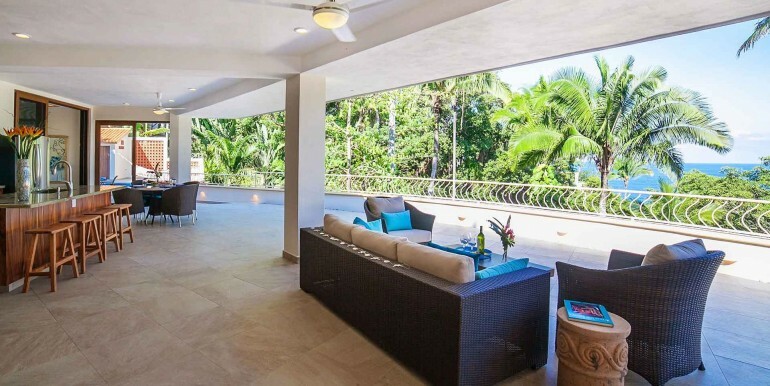 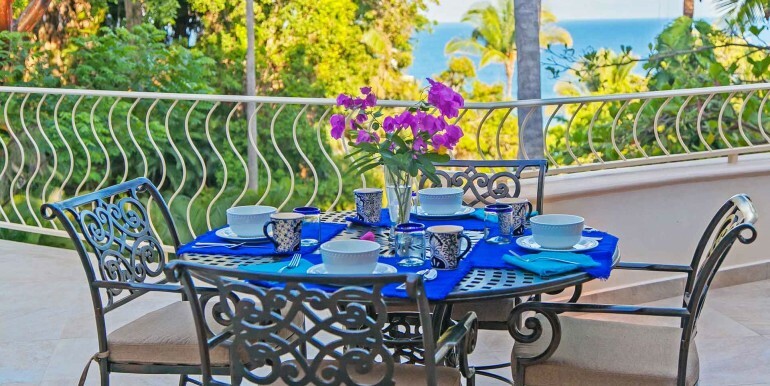 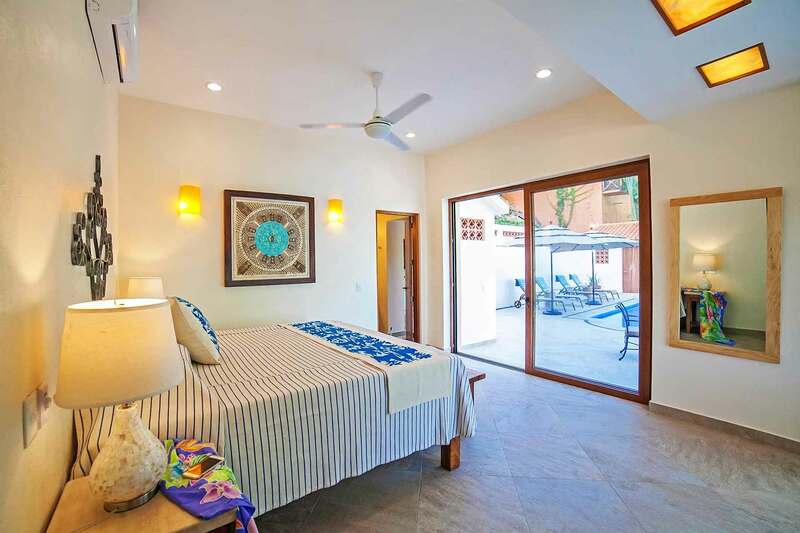 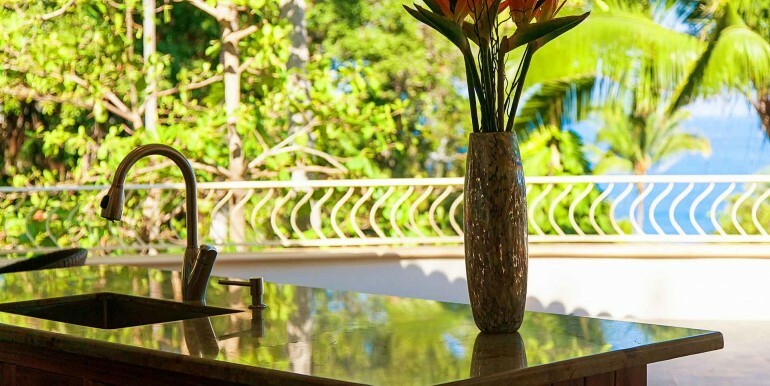 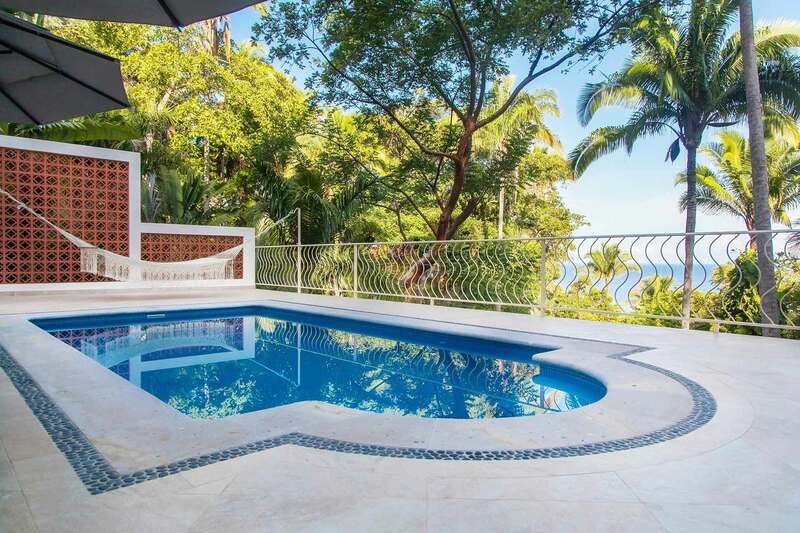 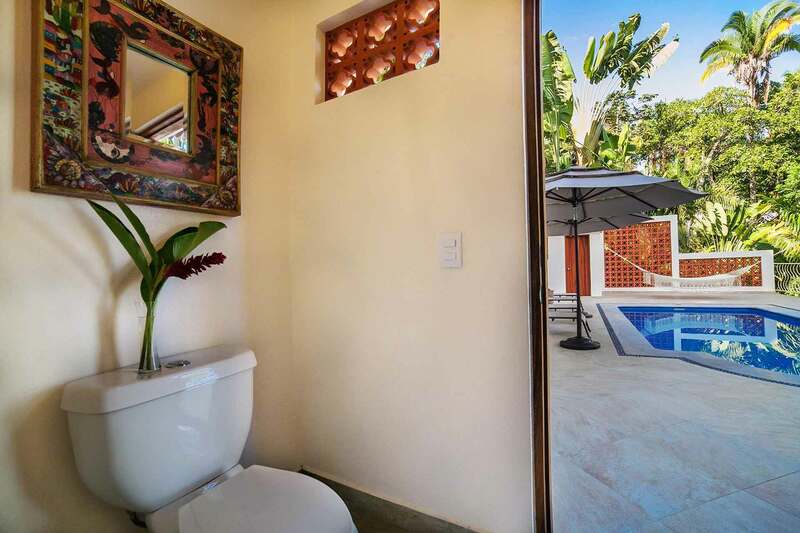 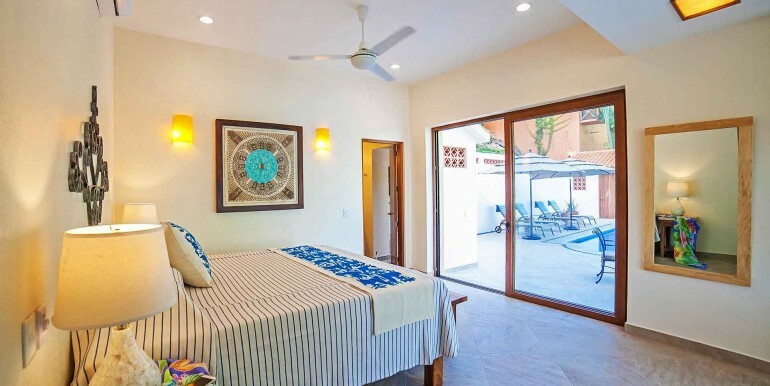 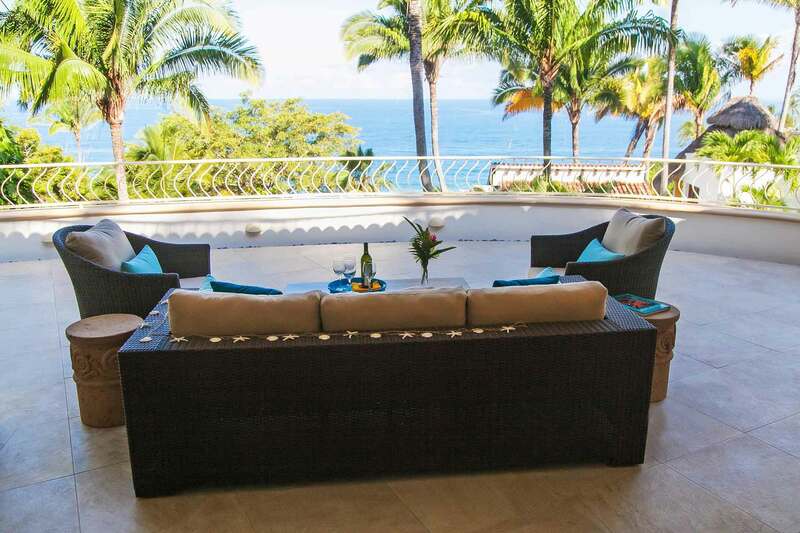 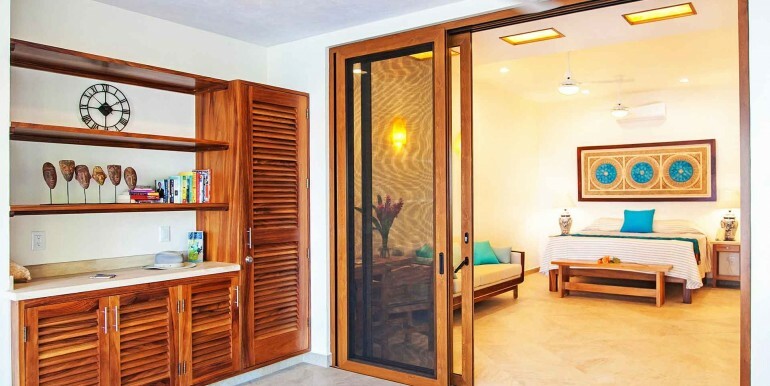 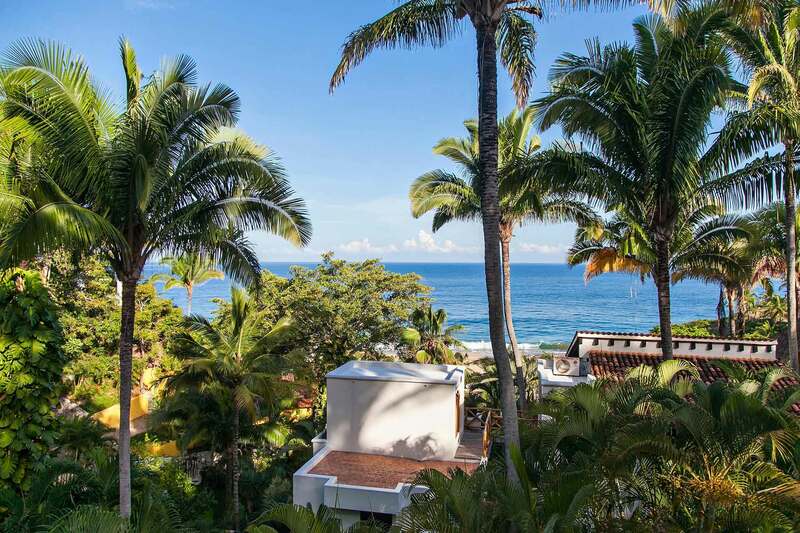 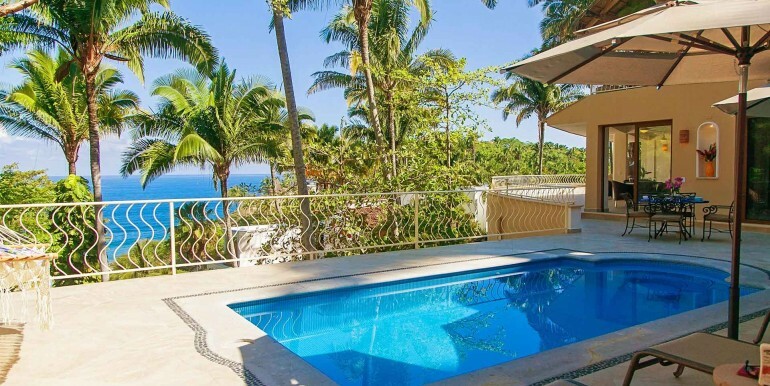 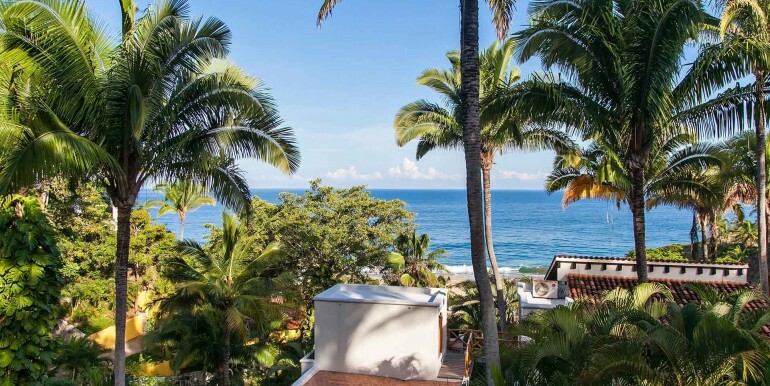 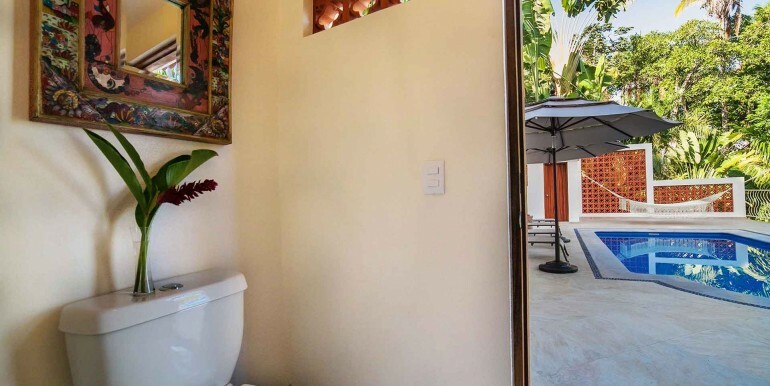 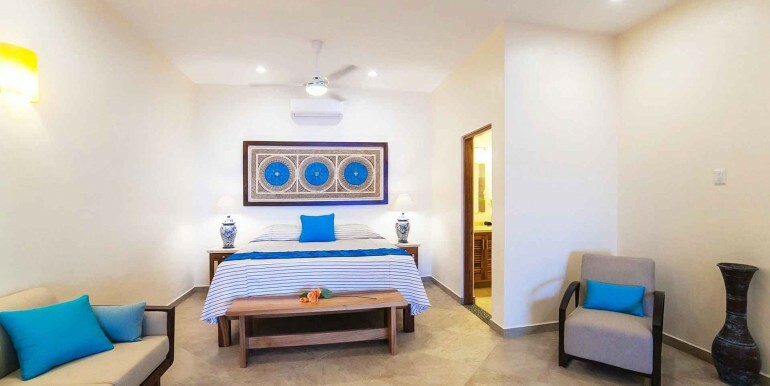 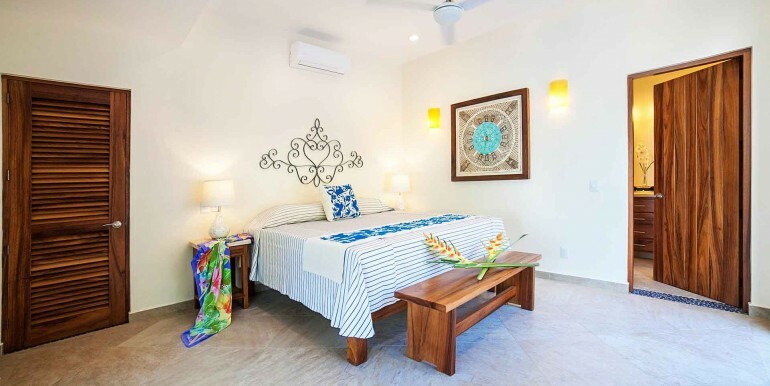 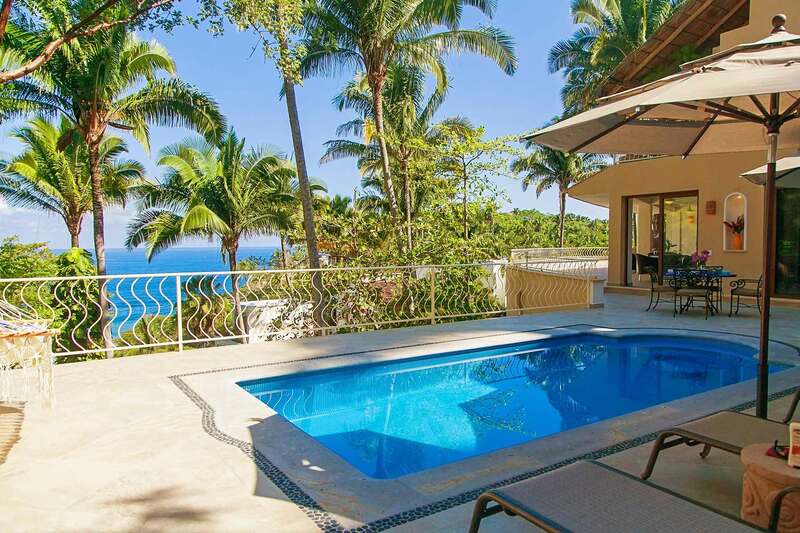 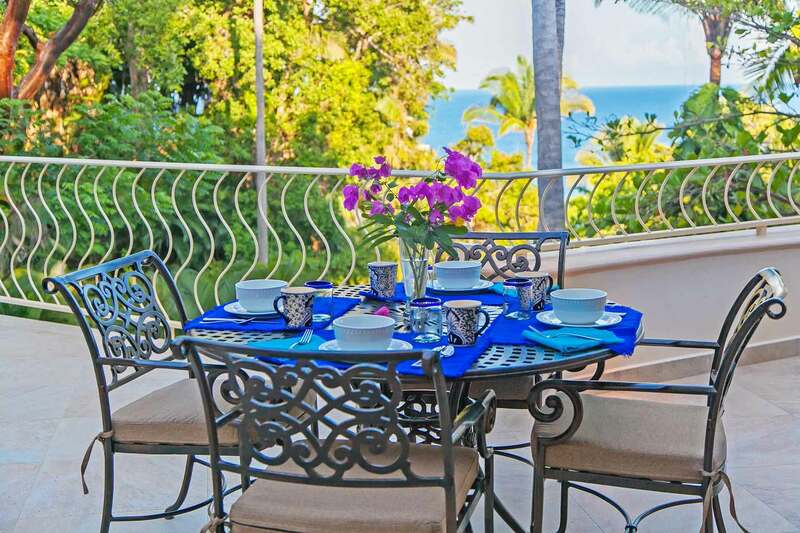 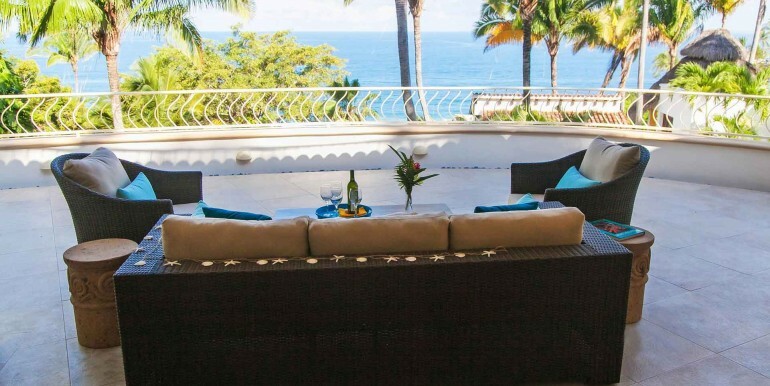 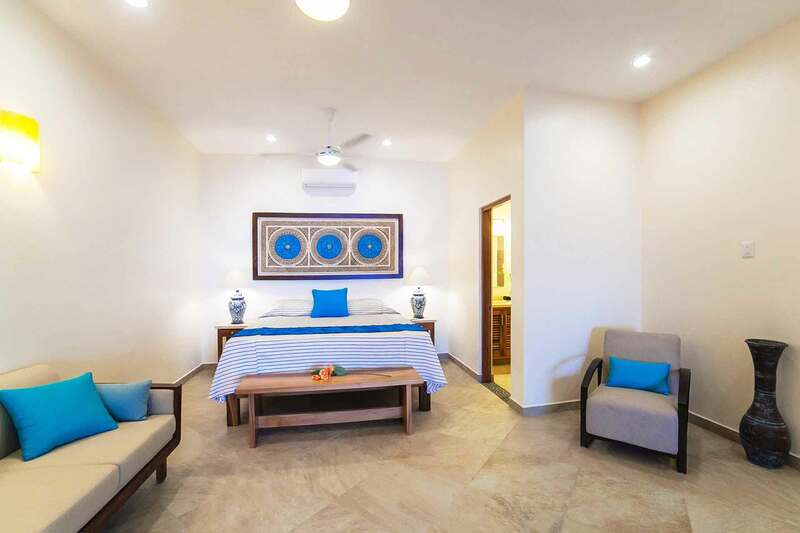 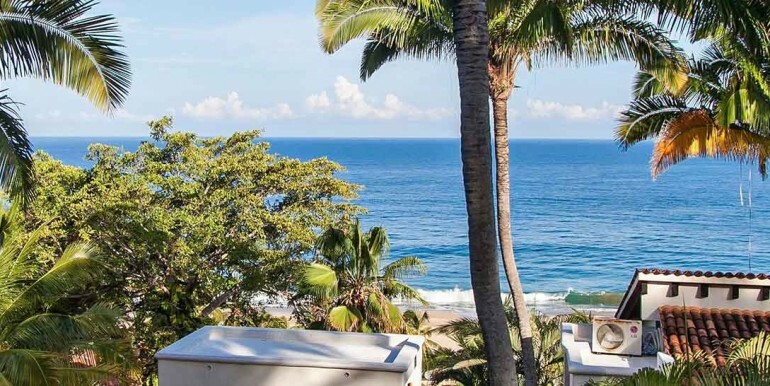 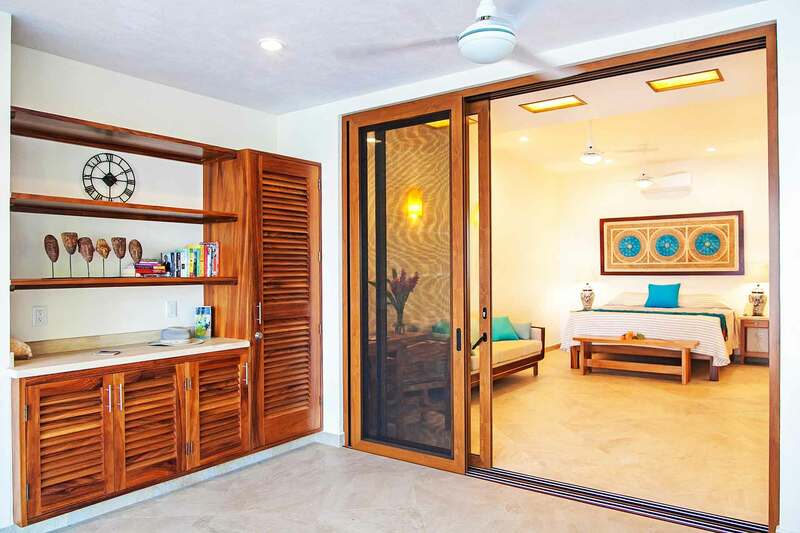 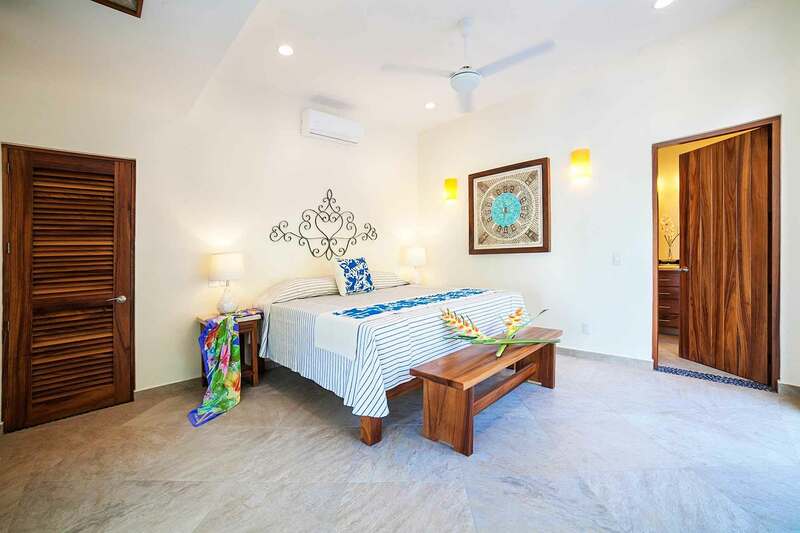 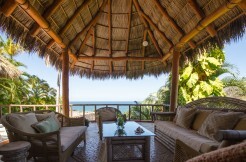 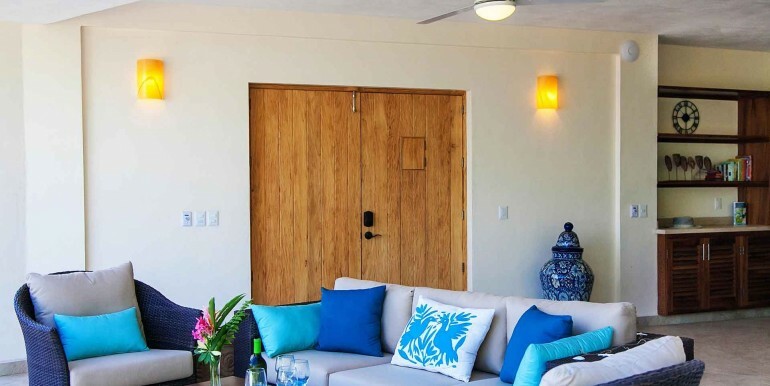 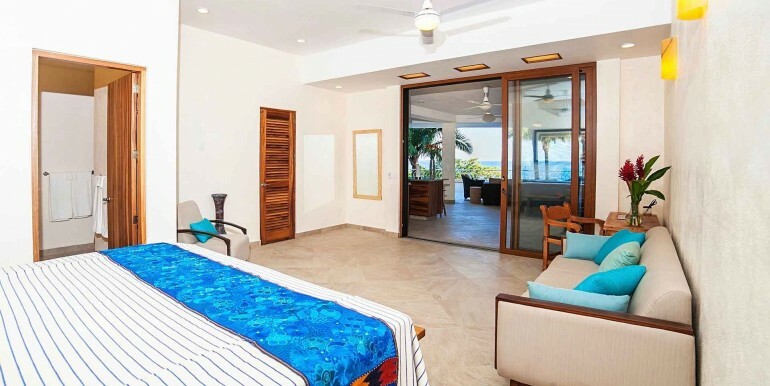 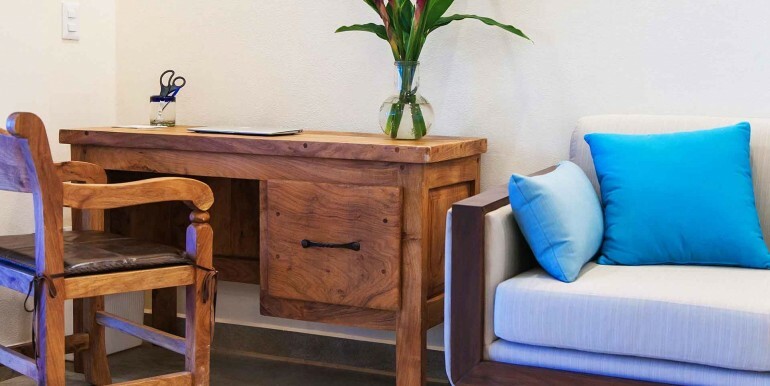 Casa Mar Azul Dos was designed, built and furnished to feel like you’re living in your own personal ocean-view resort. 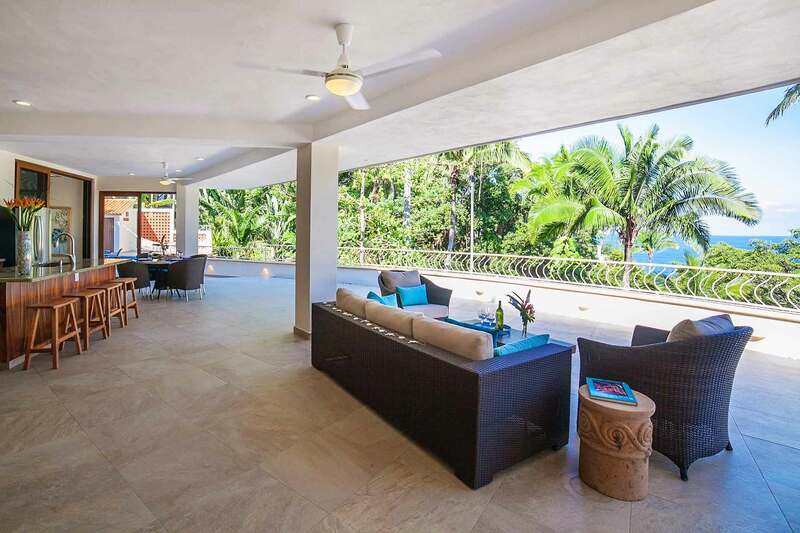 Step through the front door and enter the open-air living area with broad ocean views. 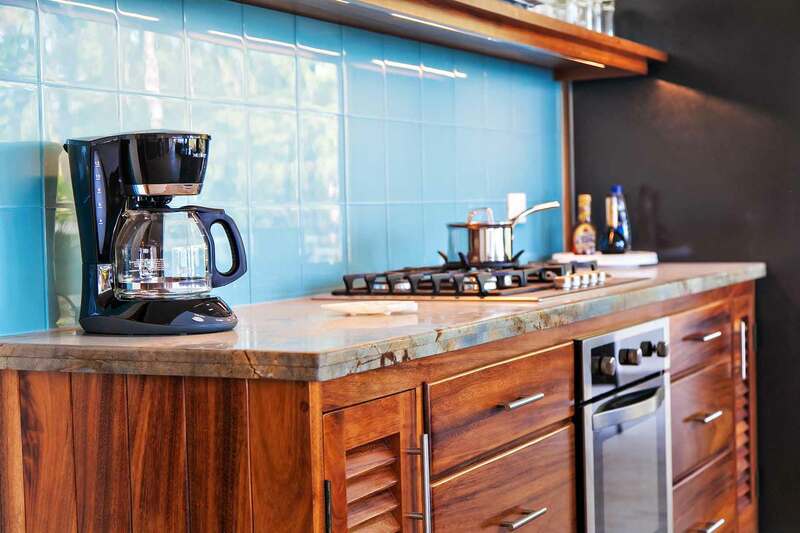 Whether you’re lounging on the sofa, drinking coffee at the dining table, pouring a glass of water (purified!) 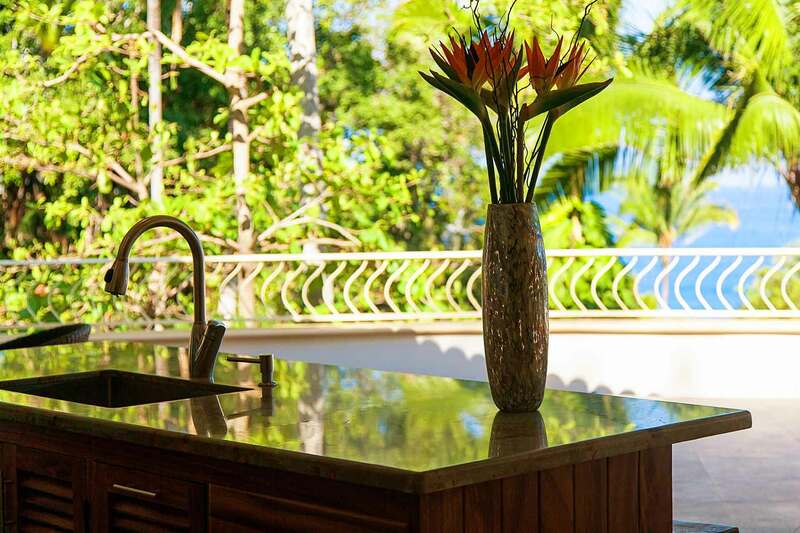 at the kitchen sink, or sunning beside the pool, you see the ocean, hear the waves, and feel the breeze. 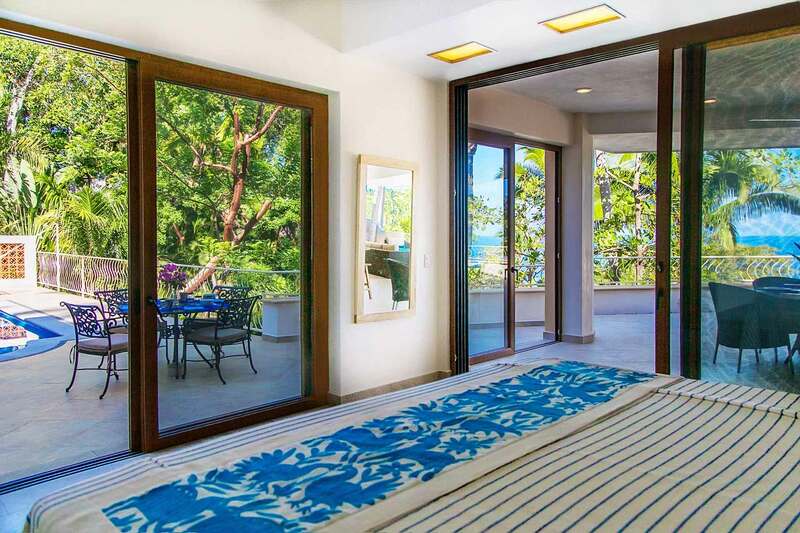 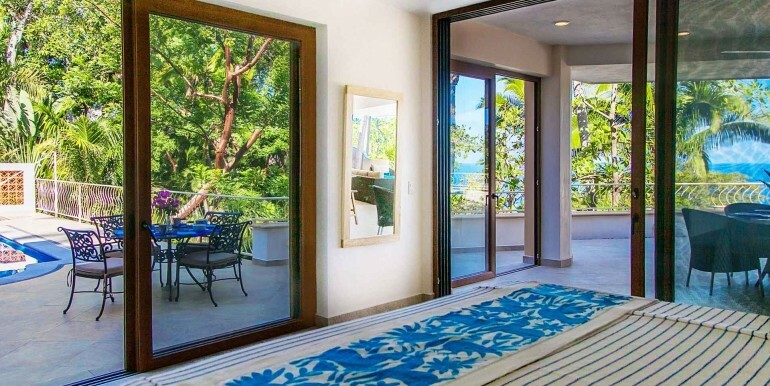 At siesta time or nighttime, retreat to your bedroom and close the screen doors (or 10’ glass sliding doors). 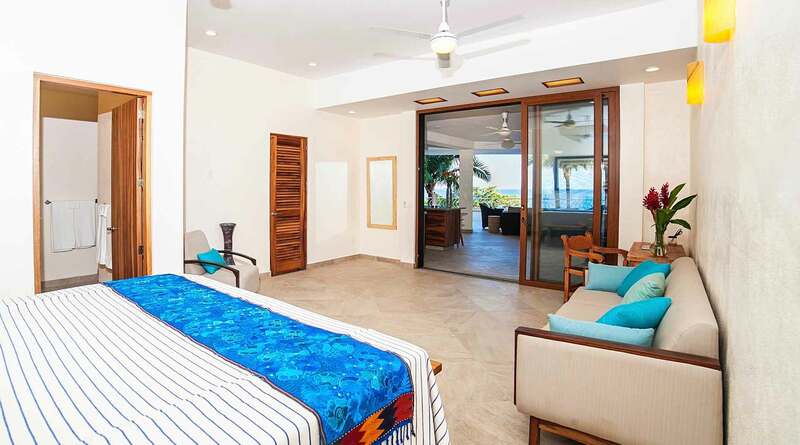 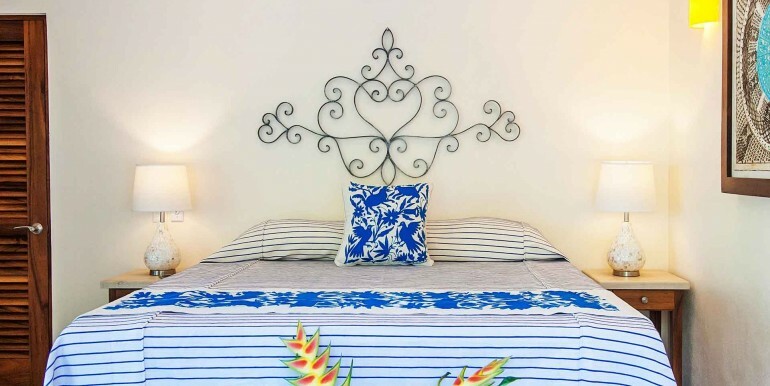 Stretch out on the king bed, look at the ocean, and drift off to sleep to the sound of waves. 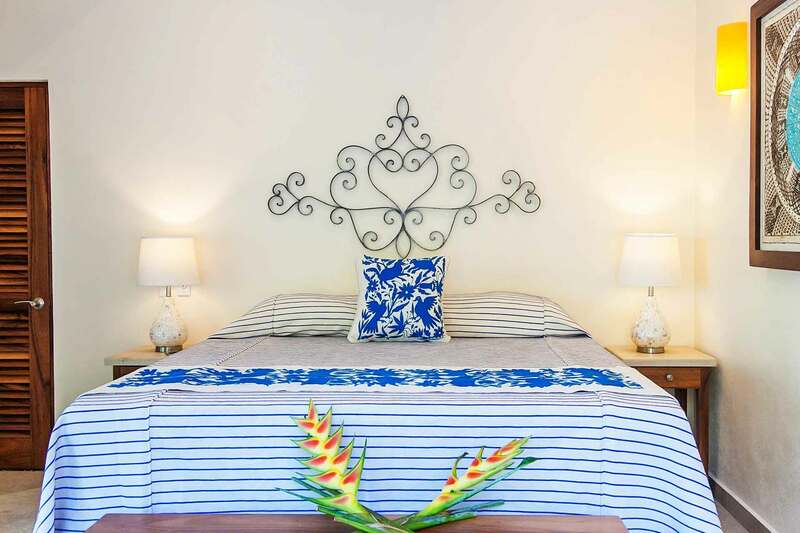 No matter which bedroom you choose, you’ll slumber on a new hotel-quality king mattress topped with three inches of natural Talalay latex foam, a heavenly combination that supports and cradles. 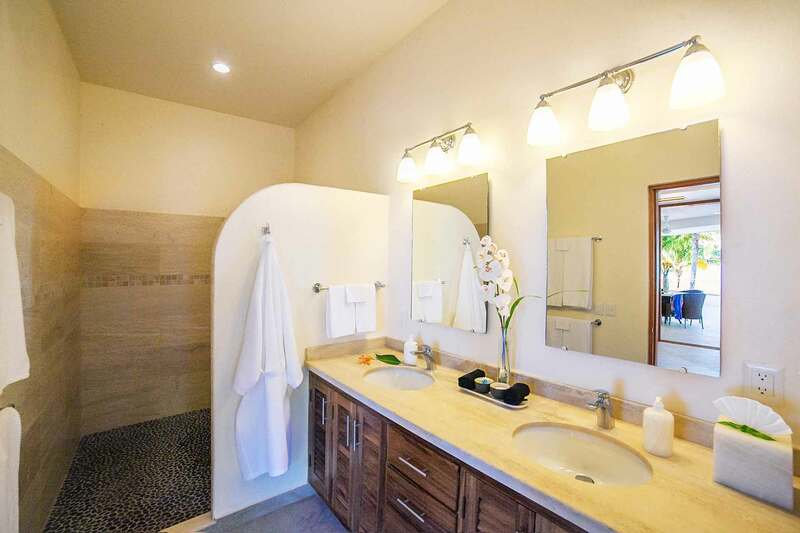 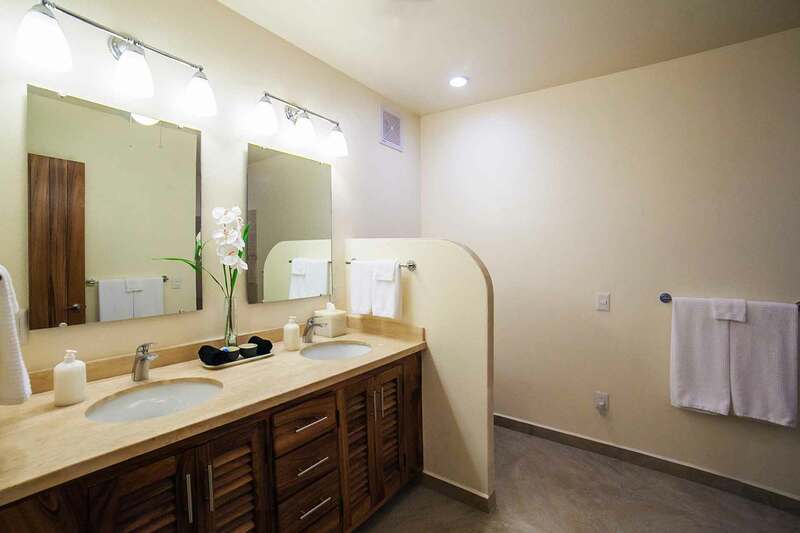 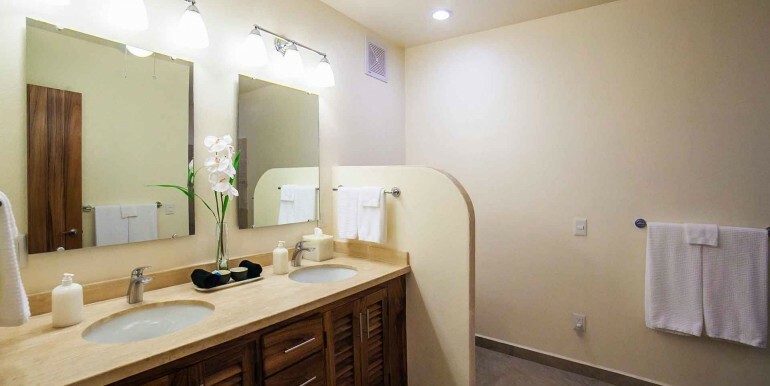 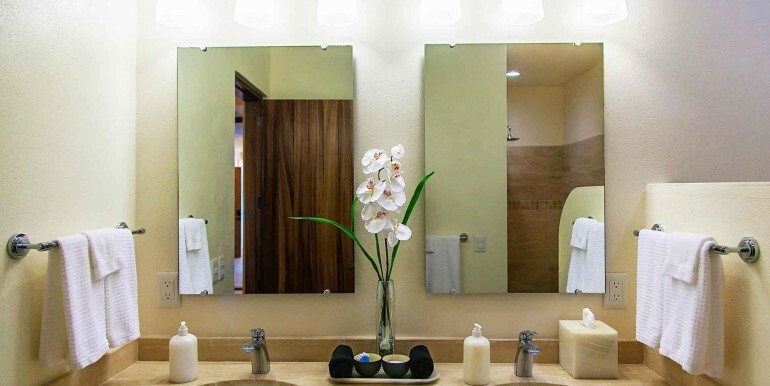 Both en suite bathrooms feature double sinks, honed marble countertops and ample storage space. 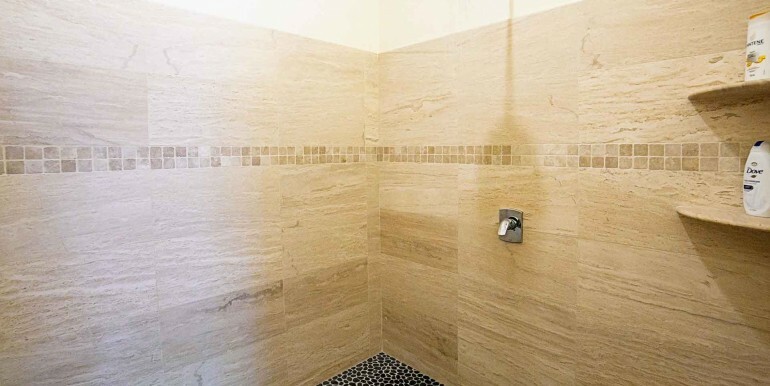 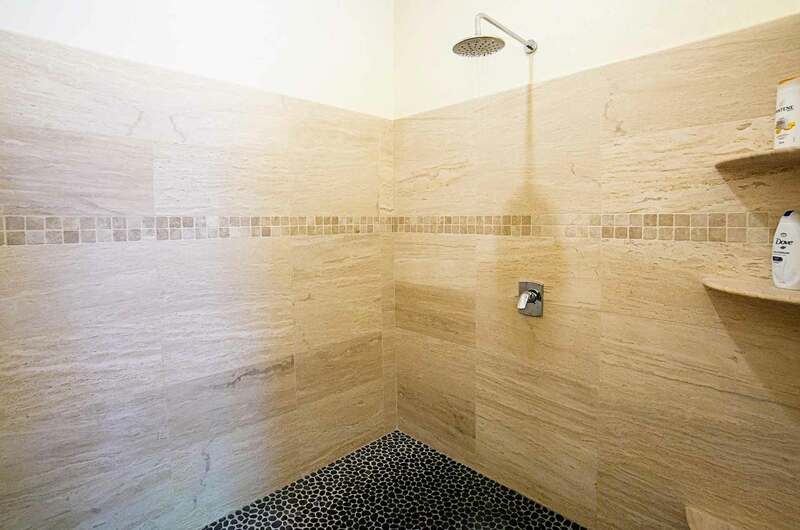 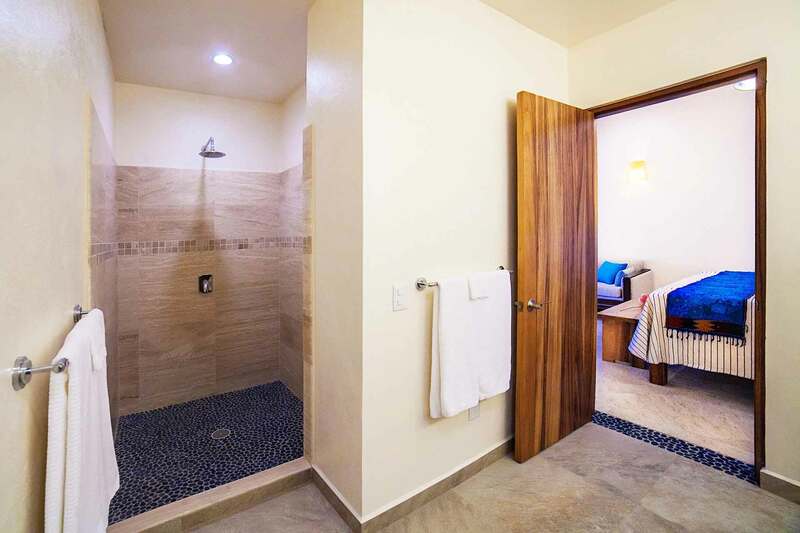 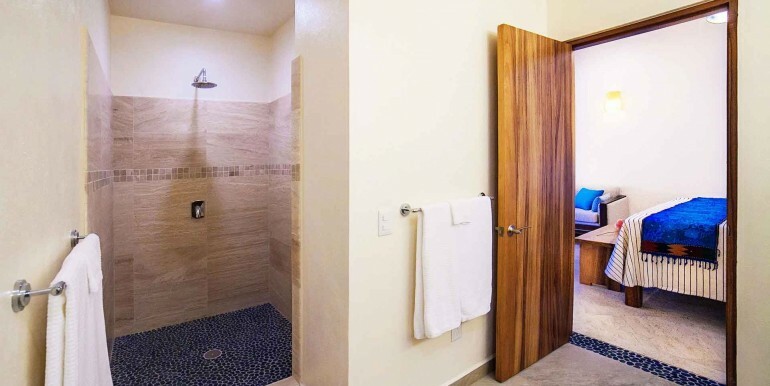 The walk-in rain showers include pebble tile floors that massage your feet. 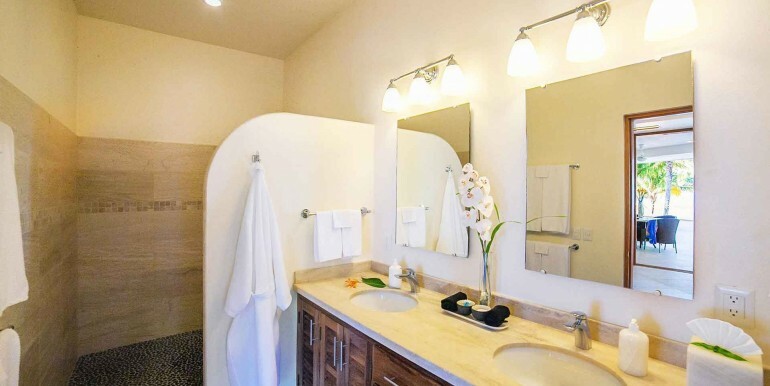 You’ll find body wash, shampoo, liquid soap at all sinks, a magnifying mirror, hairdryer, plus, in the closets, bathrobes and abundant hangers. 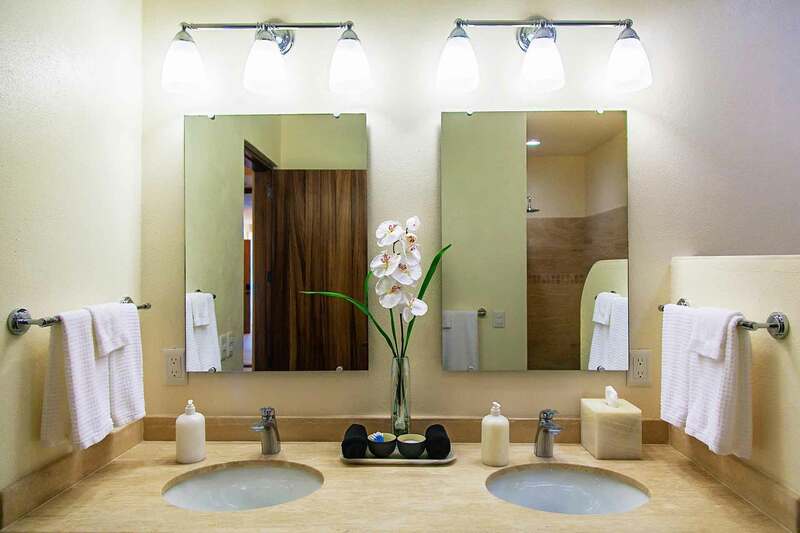 The state-of-the-art water purification system is regularly tested and maintained. 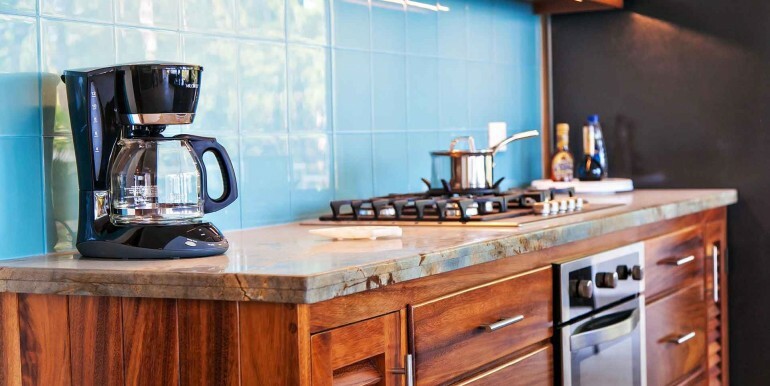 You can safely drink from any faucet, and use the ice from the ice maker. 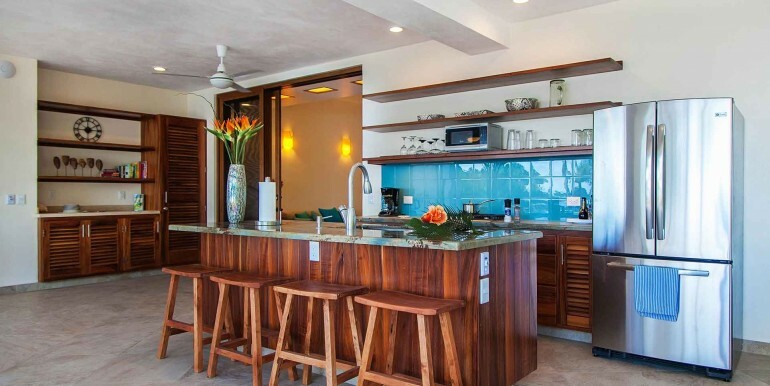 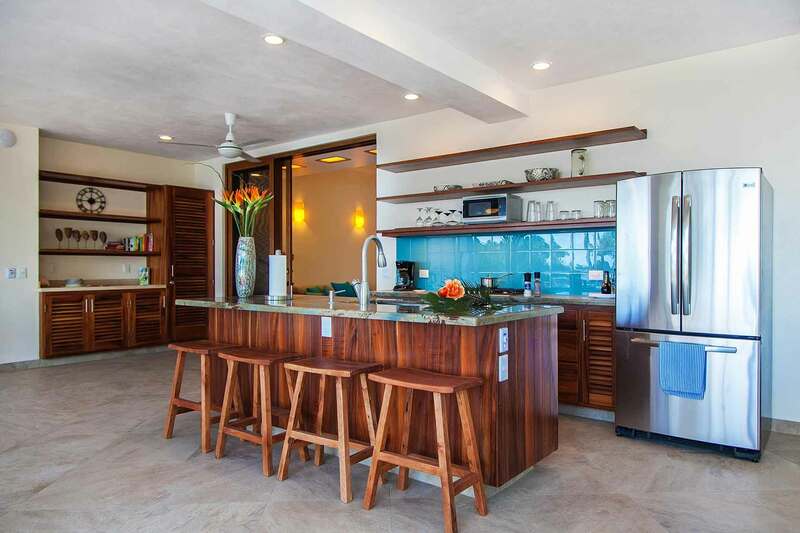 The ocean-view open kitchen is fully equipped, down to a cocktail shaker. 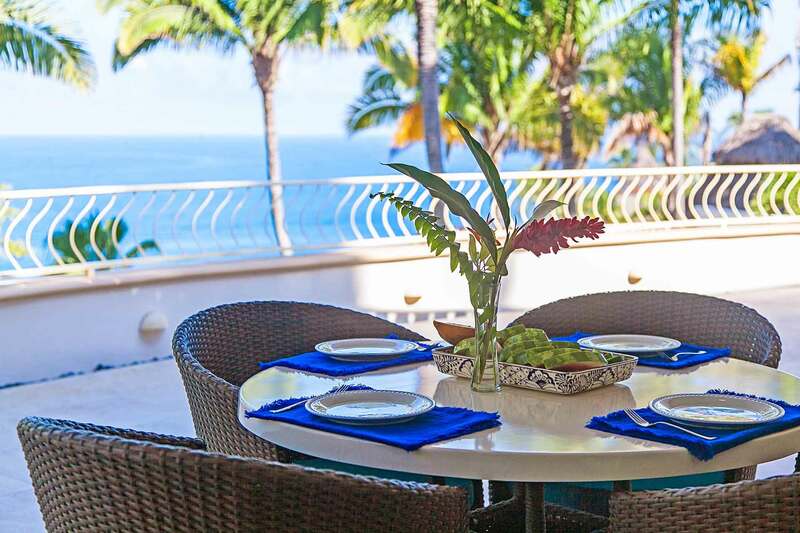 You can dine under cover or on the pool terrace—or go out! 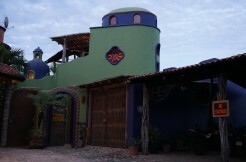 San Pancho’s restaurants are excellent, varied and modestly priced. 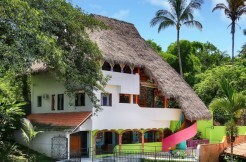 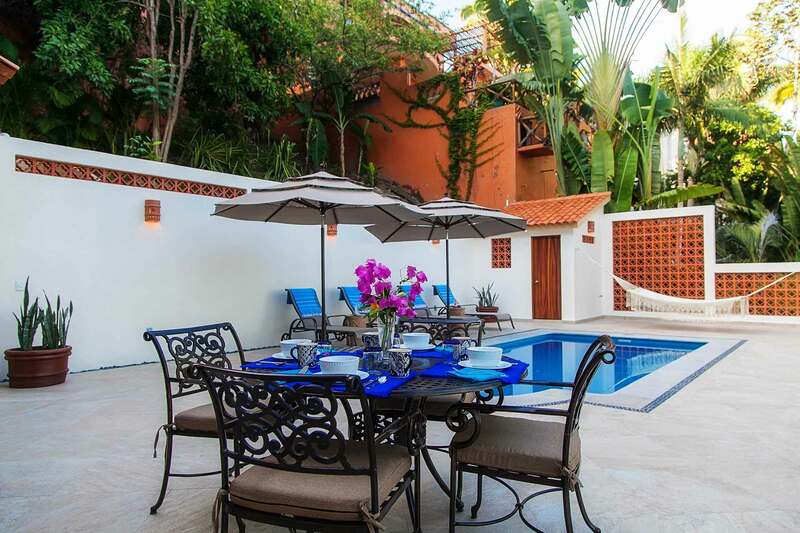 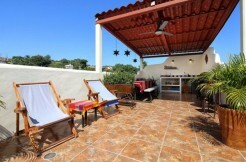 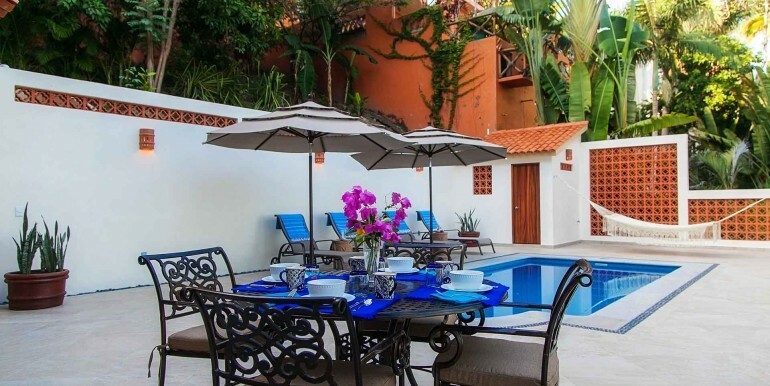 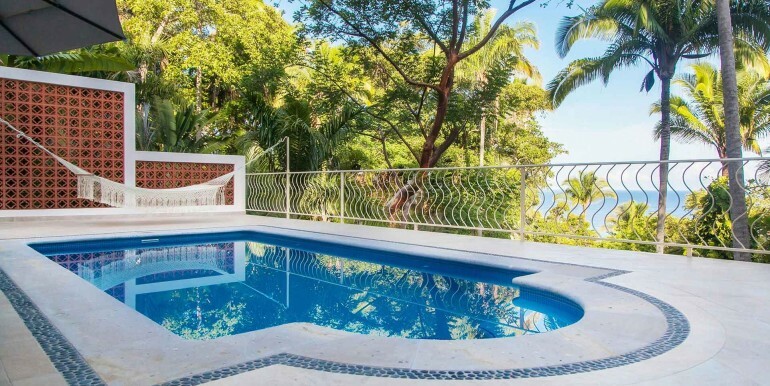 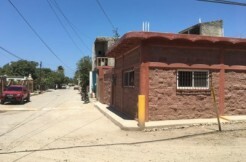 Casa Mar Azul Dos is one of two houses on the property. 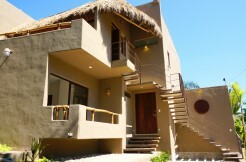 The houses are on two separate levels, giving you ample privacy. 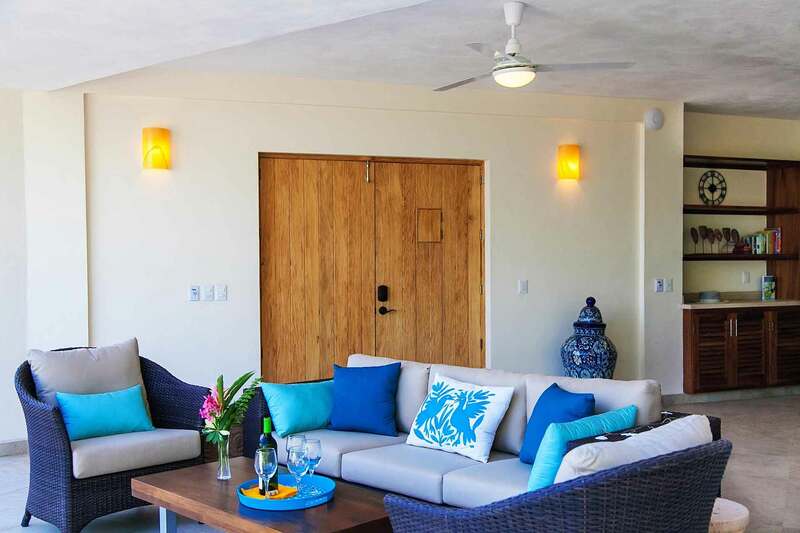 Each house comes with its own private parking area, own entrance, own pool and own outdoor area.